We had ordered a costume from Costume Express, and my little knight in shining armor was really excited to get it and try it on. He is so excited for Halloween that he asks me about when we get to go trick-o-treating all the time! 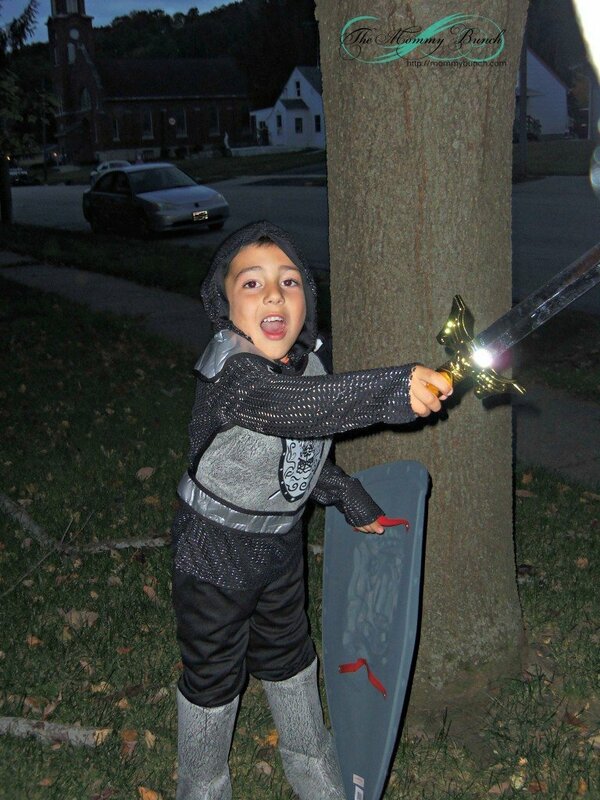 Here is my little knight, all ready for battle! I really like this costume because it fit him very well, and it came with a lot more than I think most costumes seem to. It came with the chain-mail like shirt, the vest with the emblem, the pants, and the boot covers! 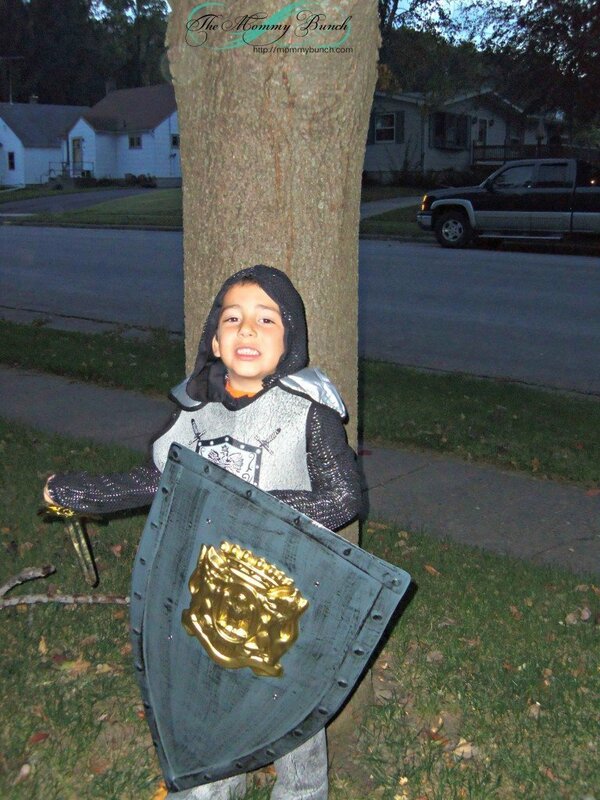 We also ordered the shield to complete the outfit, and we already had the sword. Since the whole family will be dressing in a Renaissance theme, this costume will fit right in! If you are still looking for your own costumes, there is still time to get something great! You can visit CostumeExpress.com and check out all the amazing costumes they have to offer and find something awesome for yourself, or your own kids! Overall this is a great costume. The materials used are quality, and it seems like it will hold up well for pretend play even after Halloween. One thing I will note; I have noticed in the past that Halloween costumes tend to run small in size no matter where I get them from, because of this I ordered a size bigger than what my son would normally wear. This was a good decision because it actually fits him perfectly now. Had I ordered his regular size, it would be too small. Just one thing to keep in mind should you order a costume. If you would like to win your very own costume, you can enter on the form below. 1 winner will get a $100 costume code and 1 winner will get a $50 Costume gift code! Disclosure: The Mommy Bunch was provided a free product to facilitate this review, however, all opinions are strictly our own. PreviousGreat Athletic Shoes for Kids; Pediped Offers Function, Style, and Support! NextTrying a new hair color doesn’t have to mean a commitment! 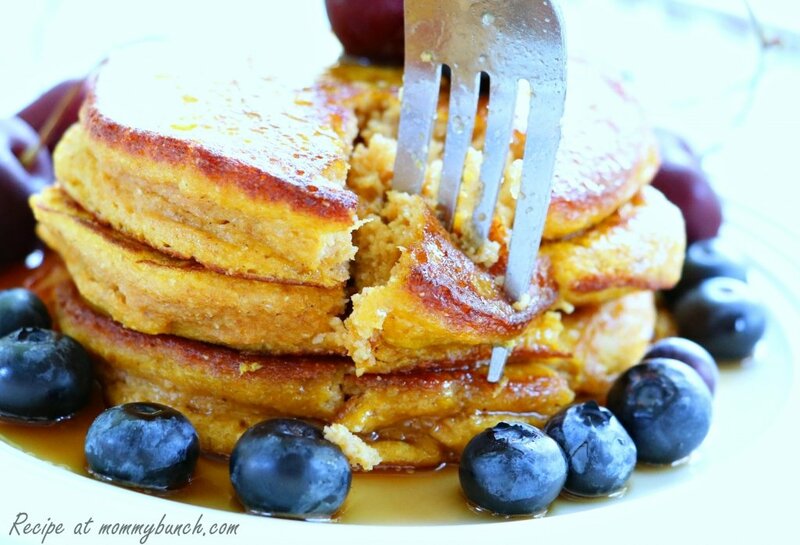 Quinoa for Breakfast with Stone Ground Quinoa Flour Pancakes! The Fault in Our Stars – a must watch!